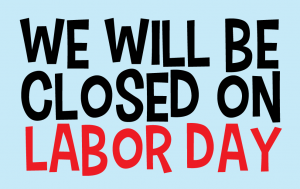 Bar None Country Store will be CLOSED on Monday, September 2, 2013 in observance of Labor Day. Don’t miss out, visit us now and save with our Labor Day Sale! Deer corn, $6.75 per 50lb bag! Register for a chance to win a $500 gift card! Savings through September 1, CLOSED September 2, 2013. This entry was posted on Wednesday, August 28th, 2013 at 10:24 am	and is filed under Events, News & Updates. You can follow any responses to this entry through the RSS 2.0 feed. Both comments and pings are currently closed.